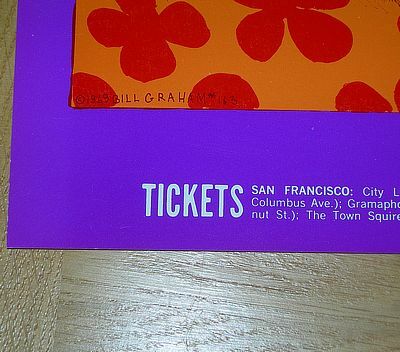 Original and rare Fillmore West Poster, Bill Graham no. 163 from a 1969 venue with the bands Ten Years After, Spirit and Country Weather, drawn by SF artist Lee Conklin, 54x36 cm. Poster imported from US, The Bill Graham Archives.